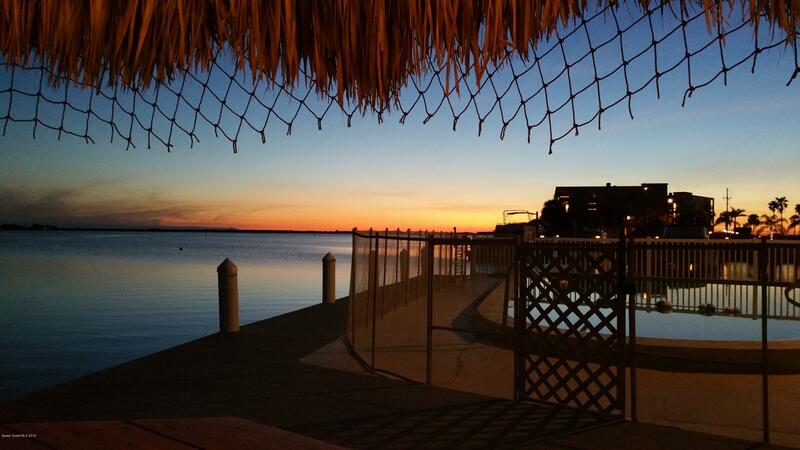 Your waterfront community has a fishing dock, pool, and patio to enjoy beautiful sunsets over the Banana River! This spacious studio has been updated from top to bottom with central air, kitchen appliances, in unit washer/dryer included, and more! Great Location, close to marina, restaurants, shopping, beach, river. A great weekend getaway, investment property, or full time residence. 2nd floor unit, has a river view and low HOA fees that include water, basic cable and internet. Call today!